Dunkin' Donuts Aren't in California... Yet? It's July 4th weekend and I'm in Cape Cod... which means that I've now enjoyed several Dunkin' Donuts iced coffees and wondered why the only DD coffee I can enjoy in California is brewed at home. 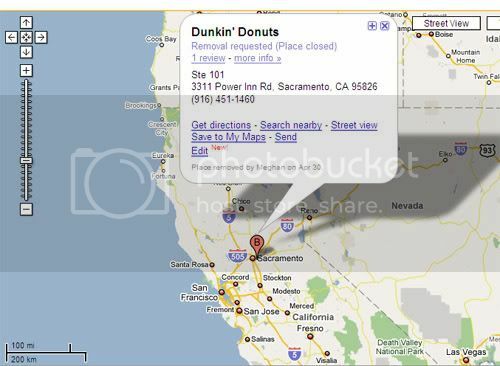 According to Quantcast, "Dunkin Donuts" is the 1,700th most common search query on the web... yet despite California's size, population and collection of Boston-transplants, there isn't a single Dunkin Donuts in California. Why? !